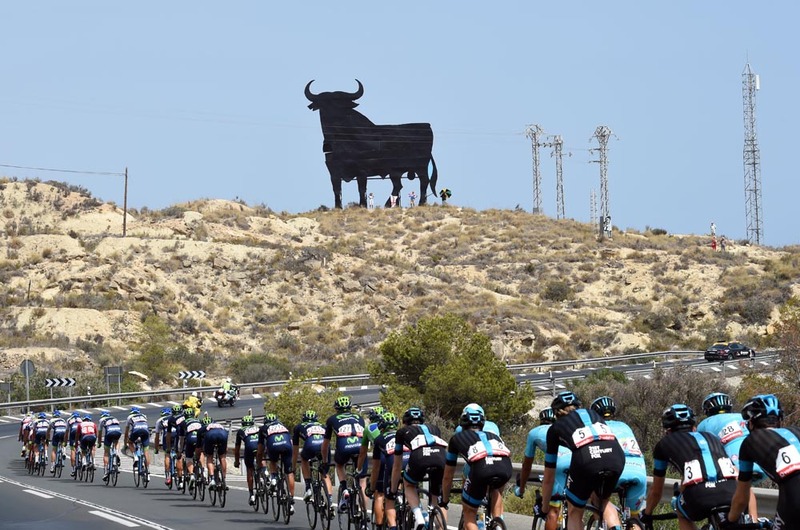 After years of playing second fiddle – third, really – to the Tour de France and Giro d’Italia, the Vuelta a España is rapidly establishing itself as the fans’ favourite Grand Tour. That’s not a brash statement engineered to make an attention-grabbing headline, but one based on the results from Cycling Weekly‘s reader poll and feedback from cycling fandom. For the second year running, the Vuelta was rated by CW readers as the most entertaining stage race of the year. But this time, it took the accolade by a considerable margin. Perversely, the Vuelta appears to be enjoying its new-found success as a direct result of its previous position as ‘third best’. The race’s organiser appears unafraid of experimenting with the make-up of the event and providing a spectacle worth viewing. New ingredients are being added to the recipe, and it’s all the better for it. The route of the 2016 Vuelta is due to be officially unveiled tomorrow (Saturday, January 9) but a leak of the stages published by Spanish paper AS shows ten summit finishes and a 29.4km opening team time trial. Gone are the endless flat stages through specatorless sun-scorched scenery designed to try and entice sprinters with some late-season form in their legs, and instead we have mountain stages spread out through three weeks. It may put off some sprinters – last year Mark Cavendish famously called the course ‘stupid’ due to all of the climbing – but it’s certainly making for some scintillating racing. And that racing hasn’t been dictated by long-established Grand Tour stars who have simply rocked up because they were injured during the Tour. The battle between Fabio Aru and Tom Dumoulin was one of the most engaging of any Grand Tour in recent years, with the race lead changing hands eight times. The fight for the general classification was ultimately settled on the final mountain stage: which is just how it should be. Along with the race itself, both Aru and Dumoulin emerged from the 2015 Vuelta well. Aru because he won it with an attacking style (and great facial expressions) that showed he really wanted to win it; and Dumoulin because he coolly defied the odds and his tag as simply a ‘time triallist’. The 2015 Giro and the Tour were great, of course, and always will be, but it was the Vuelta that brought two exciting new Grand Tour stars to the fore and showed how a three-week race should be done. The 2016 Vuelta a España takes places from August 20 to September 11.